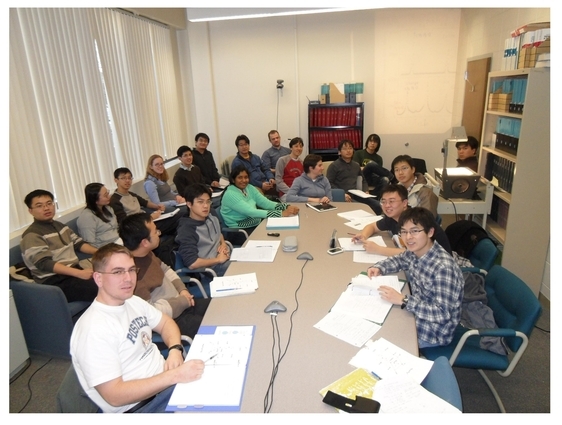 The Rutgers Center for Emergent Materials supports inter-institutional collaborative research programs on scientifically important and technologically relavent materials among Rutgers University, NJIT and industrial laboratories throughout New Jersey. 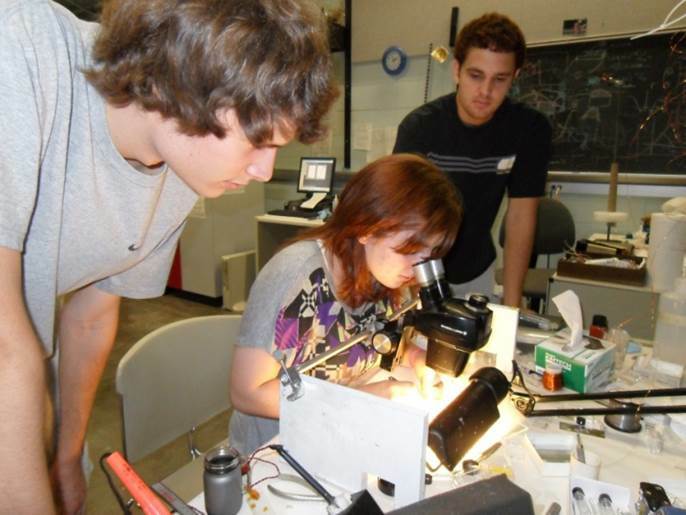 RCEM also fosters interdisciplinary education for postdoctoral fellows, graduate and undergraduate students as well as high school students. 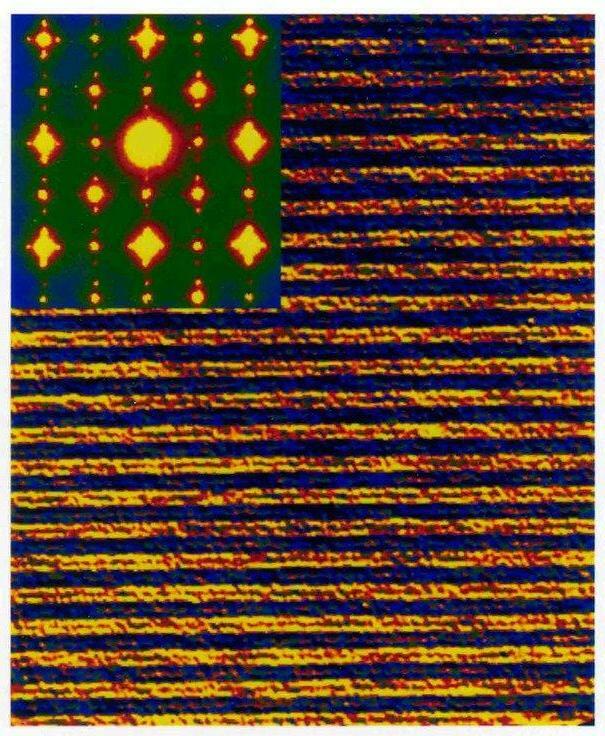 With support from the Gordon and Betty Moore Foundation and Rutgers University, Center for Quantum Materials Synthesis (cQMS) has been founded and will explore transformative "active wafer" projects by synergistically combining the expertise of single crystal growths of novel materials and those of advanced thin film growths via PLD and MBE techniques. It is our pleasure to announce the Symposium on Quantum Materials Synthesis (QMS) (http://qms2016.rutgers.edu), which will take place on August 30-September 1, 2016 in the World Trade Center, Manhattan, New York, USA. 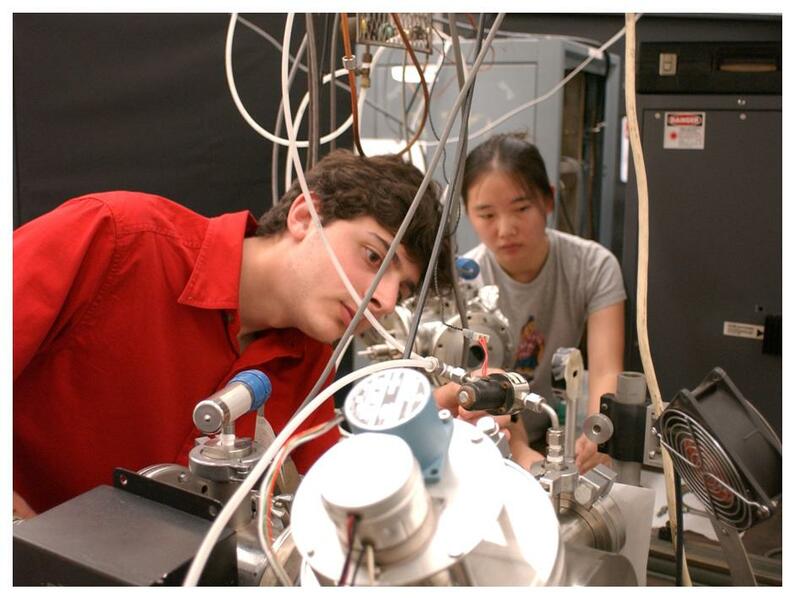 The QMS symposium is primarily sponsored by the Gordon and Betty Moore Foundation and will be focused on transformative questions framed around cutting edge challenges for quantum materials synthesis and fabrication. 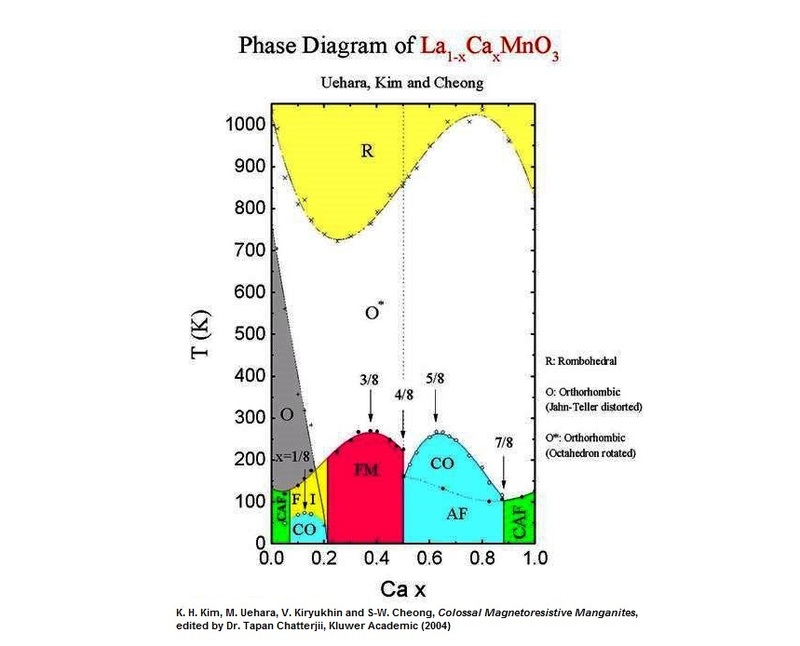 We plan to discuss new synthesis techniques for bulk materials, thin films and heterostructures and application of advanced characterization probes. One of the prime goals for the symposium is to establish innovative and strongly collaborative network between premier research institutions including CIFAR (Canada), EPiQS (USA), IBS (Korea), IOP CAS (China), MPI (Germany), Topo-Q (Japan), and the universities around the world, involved in materials synthesis. 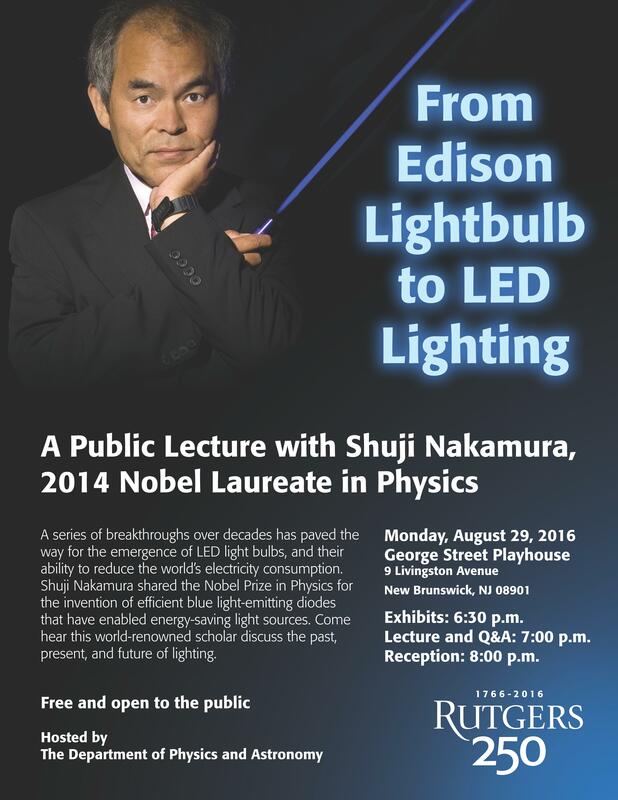 The plenary talk will be given by Prof. Shuji Nakamura (Nobel Prize in Physics in 2014) – one of discoverers of blue LED. The QMS symposium will feature 37 invited speakers and a poster session, with anticipated 50 -70 additional registered participants. The participation of early career researchers and Ph.D. students is highly encouraged. Among unique aspects of QMS'16 is its strong emphasis on promoting discussions and free exchange of ideas among all of the participants, so we will have three extensive discussion sessions on the topics of: "Materials for room-temperature dissipationless conductors", "Charged Interfaces: the mechanism of charge compensation" and "Topological and other cleavable quantum materials: Bottlenecks and Prospects". "Topological defects as relics of emergent continuous symmetry and Higgs condensation of disorder in ferroelectrics"
It is often said that an open mind can see a universe in a drop of water. In science, a poetic phrase sometimes becomes reality. In our work, we were able to study the laws governing such disparate phenomena as evolution of the early Universe, superfluidity, and exotic superconductivity in a piece of a solid material called manganite. 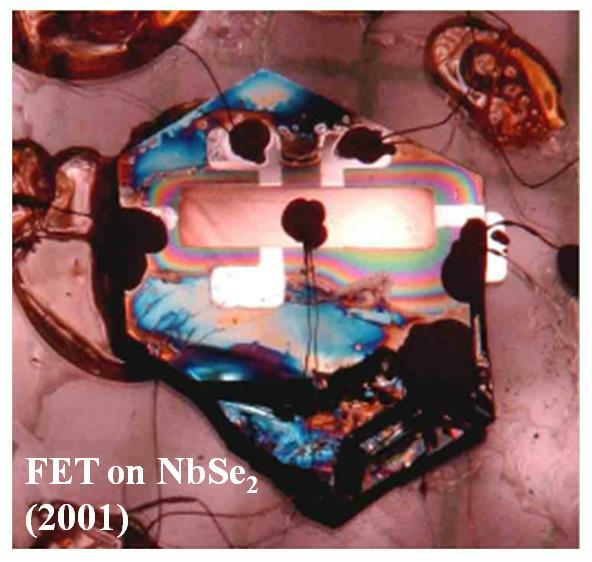 Our samples are ferroelectric, i.e. 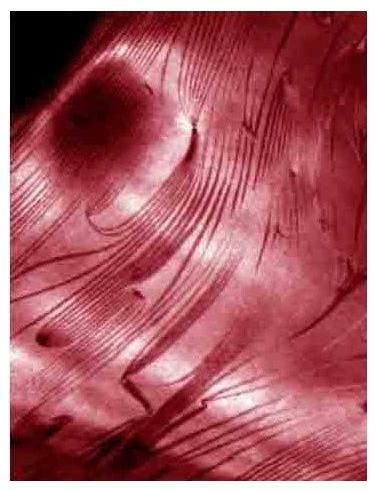 they exhibit spontaneous electric polarization that might vary from place to place, breaking the samples into domains. 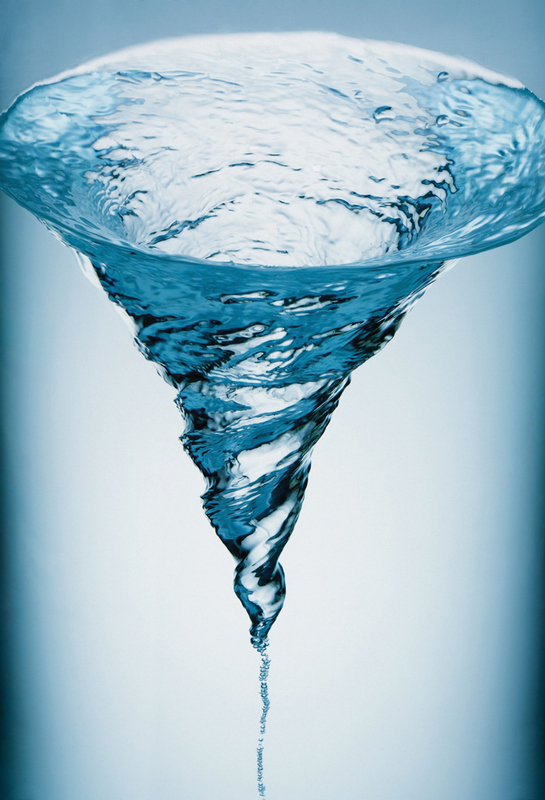 The domains can organize into topological entities called vortices (similar to a vortex in a liquid). Such topological entities form in cosmological structures, in particle physics, and in solids. They are governed by a similar "universal" law, and a study of a ferroelectric, for example, can elucidate the characteristics of the early Universe. 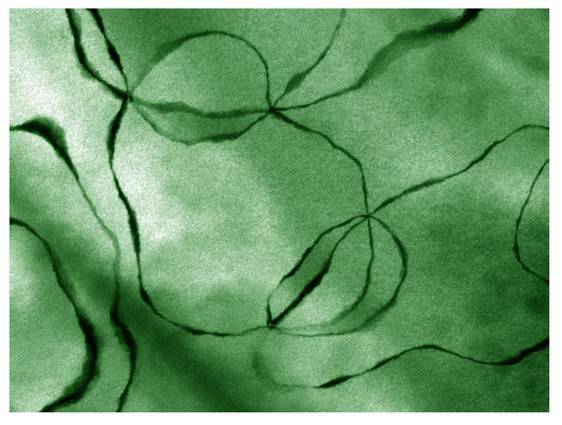 Topological vortices are often elusive and difficult to study (think the early Universe). 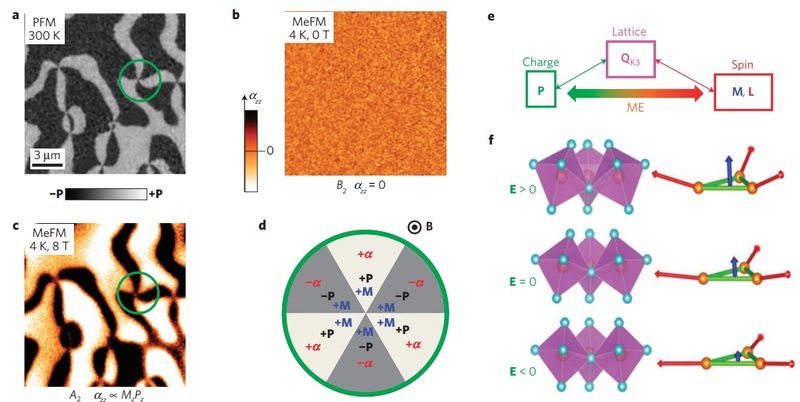 We have discovered an ingenious and effective way of freezing and subsequently imaging the topological vortices in ferroelectric manganites, and studied the dynamics associated with their formation. We found that it is in close agreement with the well-known Kibble-Zurek mechanism, which was developed to describe topological defects such as monopoles or cosmic strings that influence the evolution of the early Universe. Even if a single phenomenon is chosen from the proverbial drop of water, it can be seen differently by different people. A flock of flying geese can be also viewed as a school of fish in an M. C. Escher's artwork. Such "duality" has fascinated people for centuries. In our studies, we constructed such a dual vision of the vortices in our ferroelectric sample, and tested it in experiments. We described the same phenomena using the language of emergence of the ferroelectric order at low temperatures (one description), and also in the language of condensation of the disorder associated with vortices taking over the sample, spanning their entire length, and destroying the order (the dual description). Thus, one event was seen from two entirely different sides - the order and the disorder sides - as also often found in the works of art. Not surprisingly, such a broadened view allows seeing more: the vortices in our samples, exotic superfluids, and even the recently discovered Higgs boson (an elementary particle) can be described in a similar language. Studying one therefore means understanding another. Quite a feat for an unassuming little chunk of solid matter called manganite! Professor Sang-Wook Cheong among "The Most Influential Scientific Minds: 2014"
Sang Wook-Cheong is listed by Thomson-Reuters as among "The Most Influential Scientific Minds: 2014." This list, which is comprised of 21 field of science and is available at http://highlycited.com/, notes: "Highly Cited Researchers 2014 represents some of world's leading scientific minds ... researchers earned the distinction by writing the greatest numbers of reports officially designated by Essential Science Indicators as Highly Cited Papers - ranking among the top 1% most cited for their subject field and year of publication, earning them the mark of exceptional impact." Sang-Wook notes that his former PhD student, Yew San Hor, currently an assistant professor at Missouri University of Science and Technology, is also on the list. RCEM hosts, at least, one summer high school student through the Partners in Science Program, organized by Liberty Science Center. We announce the start of RCEM Journal Club. Speakers from Physics, Chemistry and Material Science, from both inside and outside of RCEM, will review research papers and various interesting topics in condensed matter physics. On APS March Meeting 2014, RCEM members presented 3 invited talks on the studies of vortices of hexagonal manganite and iridium ditelluride. As of Feburary, 2014, there are 157 papers associated with Rutgers Center for Emergent Materials, since 2006 (the year when RCEM was founded), with more than 2600 citations, based on the search results of "Web of Science". Professor Sang-Wook Cheong was named Board of Governors Professor at the June 14, 2011 meeting of Board of Governors. Board of Governors Professorships are awarded to individuals whose accomplishments are recognized nationally or internationally as being consistently and unusually outstanding at a level exceeding even the extremely high standards expected of faculty members who have earned Professor II designations at the University. These professorships recognize faculty members whose accomplishments are particularly outstanding and have earned the individual faculty member national or international distinction within the discipline. The Korean Broadcasting System (KBS) has honored several overseas Koreans who've made exemplary contributions in their respective fields. The KBS Overseas Compatriots Award is given to ethnic Koreans living overseas who have made a distinguished contribution in promoting the image of the people and culture of Korea. In the humanity and social science category, Professor Lee Dong-heon from the University of Wisconsin won the award. The science and technology award went to Professor Cheong Sang-Wook from Rutgers University. In the arts and culture category, Professor Park Yeong-hui from the prestigious German university Hochschule fur Kunst Bremen won the award. The social service award went to an association for the building of homes for elderly ethnic Koreans in Japan. And Han Soknan, the head of Gender Equality and Diversity Unit of the United Nations Development Program, received this year's special award. The award ceremony will take place on March fourth next year at the state-run public service broadcaster. KBS will award ten million won, about seven thousand U.S. dollars, to each winner and will produce a documentary on their lives and achievements. Reported by KBS WORLD Radio Contact the KBS News: englishweb@kbs.co.kr. We are proud to announce that graduate student Young Jai Choi has been awarded the Iris Ovshinsky Student Travel Award for Material Physics. 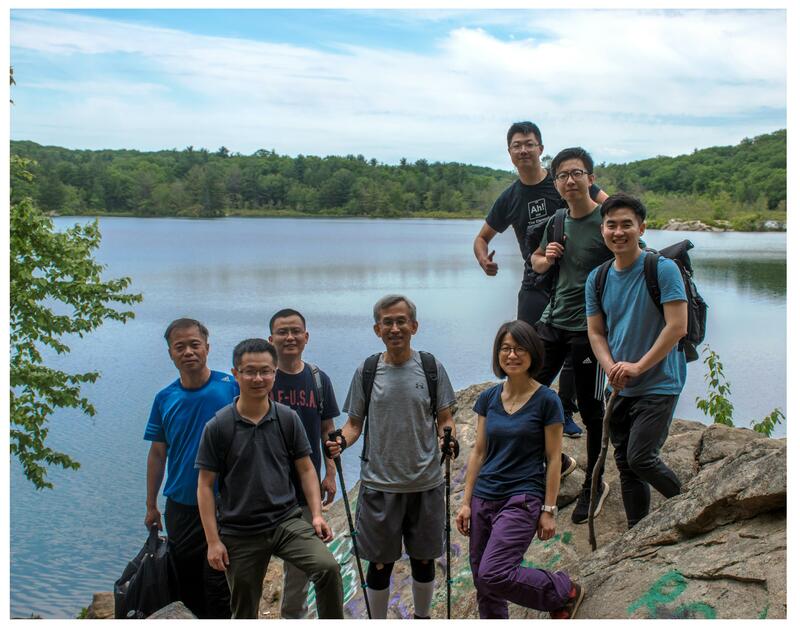 Choi, known for his work in the Rutgers Center for Emergent Materials, has been given this award to recognize his work in research of novel multiferroic materials. There will be an award ceremony in Pittsburgh, PA on March 17th, 2009 where Choi will give a talk on his work. Among the benefits are a stipend and a diploma honoring achievments in the field of Material Physics. 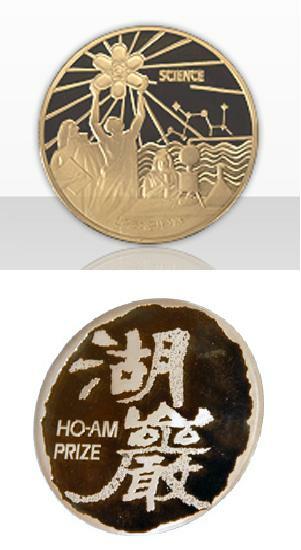 Ho-Am Foundation yesterday announced five winners of its Ho-Am Prize, one of the most prestigious awards that honors Koreans and foreigners for their achievements or services. This year`s winners are Cheong Sang-wook, a professor at Rutgers University and POSTECH; Eom Chang-beom, a professor at University of Wisconsin-Madison; Charles D. Surh, a professor at The Scripps Research Institute; novelist Lee Cheong-joon; and Emma Freisinger, an Austrian who helped Korean leprosy patients. The foundation, set up in memory of the late Lee Byung-chull, founder of Samsung Group, presents the annual award to "those who have made outstanding contributions to the development of science and culture and the enhancement of the welfare of mankind." 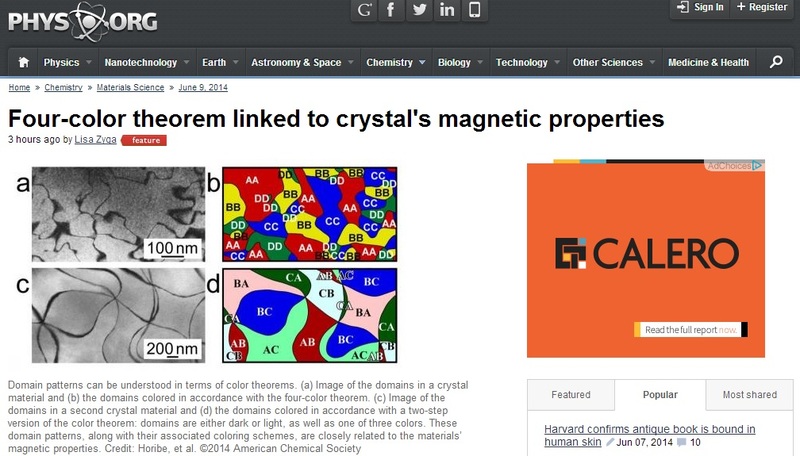 Cheong, the winner of the Science Prize, has provided a new paradigm in the field of physical properties of emergent materials and discovered the high tunability of electric polarization by external magnetic fields in multiferroics where ferroelectric and magnetic orders coexist, the foundation said. Eom will receive the Engineering Award for pioneering work researching various cutting-edge materials in the field of non-volatile memories, the next generation optical and medical sensors, as well as electronic and communication devices, it said. Surh was named for the Medicine Prize for establishing a new chapter in the cure of the immune system through "works on the selection of young T cells in the thymus and the factors controlling mature T cell survival in the extrathymic environment," the foundation said. Novelist Lee, the winner of the Arts Prize, was recognized for his contribution to improving the quality of Korean literature by writing more than 100 stories, 13 novels, and over 30 books featuring collections of his work over the past 42 years. Emma Freisinger, an Austrian, was named for the Community Service Prize for her 46-year long service assisting Korean leprosy patients since she came to Korea in 1961. The five will receive a cash prize of 200 million won each and a gold medal at the award ceremony scheduled for June 1 at Hoam Art Hall in Seoul.